An intensive two-day manhunt by Franklin Police has landed this remaining armed robbery suspect behind bars. Franklin Police Detectives and Flex Team Officers arrested 40-year-old Gregg Merrilees in the parking lot of an apartment complex on Indian Park Drive, in Murfreesboro, early this afternoon. Merrilees was the remaining at-large suspect in the January 11 robbery of the Baymont Inn, on Franklin Commons Court, where one suspect armed with a gun and the other with a knife, menaced the overnight clerk while demanding the hotel’s cash. Detectives from Franklin, Nashville, and Smyrna worked together to identify 32-year-old Dashaun Hickerson of Antioch and 40-year-old Gregg Merrilees of Murfreesboro as the suspects in a string of hotel robberies, including the one in Franklin. Merrilees, charged with Aggravated Robbery, Burglary, and Theft Under $1,000, is being held in the Williamson County Jail on a $75,000 bond. His court date has not yet been set. 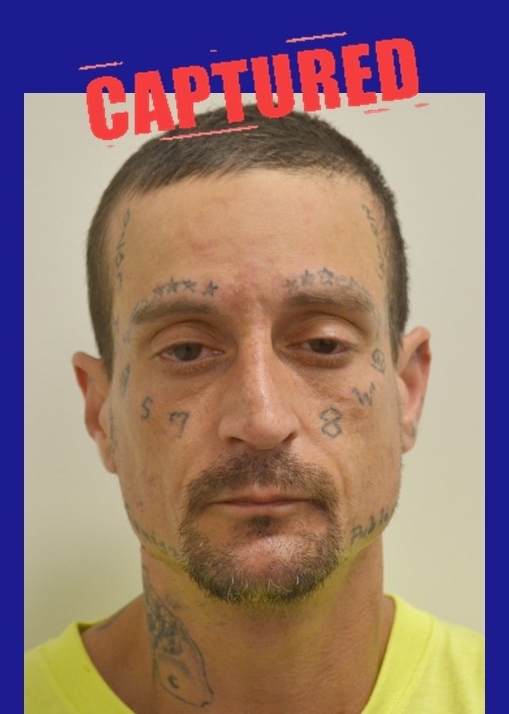 Hickerson remains in custody in the Rutherford County Jail.